Periodic emails with valuable tips about holistic veterinary healthcare. Access to some of our discussion groups, notice of new classes, webinars, courses. Receive weekly support and discussion with our faculty veterinarian. Receive all the recordings and valuable resource guide. Get access to all courses and resources. How you can take specific Holistic Actions! to build and preserve vitality. At the moment we have 1 course available, more coming soon. “I don’t know what I would do without Dr. Jeff and HA! While it seems like there’s a vet on every corner, finding one like Dr. Jeff, who truly understands healing and wellness is a needle in a haystack. I discovered HA! when I began searching for holistic therapies for my 8 year-old Golden Retriever, who was diagnosed with a bone and blood cancer. “I most definitely would recommend HA! to anyone who wants to learn preventative wellness ( from vaccination information to flea control, to behavior), nutrition for their pet, and/or to help cure their pet from symptoms being experienced with the support and guidance of being mentored by 2 seasoned expert homeopathic veterinarians! You can’t get this kind of mentorship anywhere else! I never expected such caring and friendship like that which I have received from belonging to the academy and knowing Dr. Jeff and Dr. Christina. I have had a few pet crisis and both vets have been right there to mentor me to a successful resolution!!! I am so grateful to have you both in my kitties lives!!!!!! We are a team of passionate and dedicated holistic veterinarians, dog trainers, animal lovers with over 80 years of combined experience. Our vision is to educate as many animal guardians as possible about the holistic ways of caring for yourself and your pets. 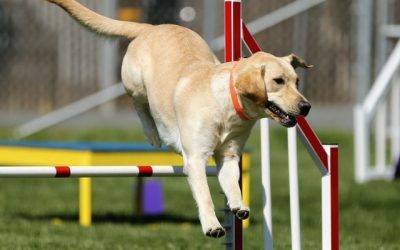 Through top education, research, holistic medical decision making techniques we will teach you how to understand your pet’s symptom language, assess her wellbeing, use holistic treatment modalities, including homeopathy, create a team of support. Informational handouts, veterinary anatomy, x-rays, procedure images to enrich your knowledge base by doing more research on your condition. Receive the first steps you need to take to learn holistic actions. As well as the latest news and updates from our team. That's a great start to taking holistic actions! Check your email in the next couple minutes for the next steps.